We are now enrolling ages 6 weeks - 6 years old. If your child is between the ages of 6 weeks - 6 years old this is the school for you. We offer a hands on curriculum that is developmentally appropriate for each child. Each classroom is fully differentiated allowing your child to learn exactly what they need to. 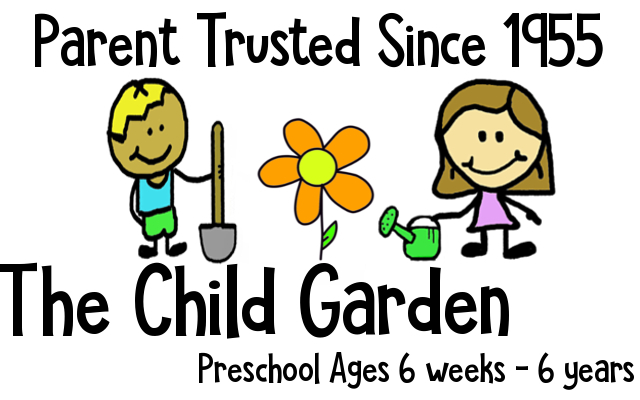 At The Child Garden, children are free to learn and explore the world around them, while being supervised by highly qualified teachers. We offer a challenging curriculum and a safe place for your child. Take the next step and set up a tour today. Why bring your child to The Child Garden?